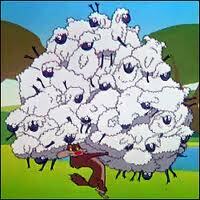 Are you saying the sheep stealers are actually jealousy and envy? Or Pastors “taking the sheep of another’s fold”? Neither actually, so I am glad you asked that clarifying question. Pastors have been accused of sheep stealing when people have gone from one congregation to another but I am saying for sheep stealing to be an actual thing then there would have to be more than one shepherd, which as Christians we only have one Shepherd – Jesus himself. I feel that jealousy and envy creep in when pastors are very concerned about the numbers in their church and then they make this wrong allegation. We can be more unified if we recognize Jesus as shepherd and give people the freedom to worship with whichever congregation develops in them maturity and growth. I hope that helps!